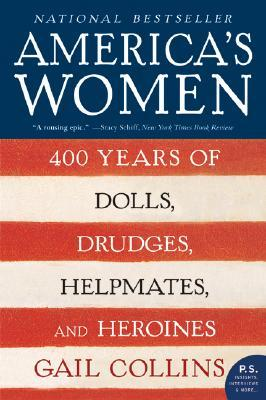 Subtitle: 400 Years of Dolls, Drudges, Helpmates, and Heroines. – Reading about the history of women’s rights/lives in the US — interesting to see that some things have changed and some things are still very much the same… 18th century – editor of large women’s magazine exhorting women to stay at home (but she is ok to be out and managing large business while saying this). Kept on saying that she was only working as a stop-gap to help her family income, but this “stop-gap” lasted for decades and message didn’t change. – Running large house is ok, but not running a whole business (except this magazine). Are these contradictions still around in the 21st century? – 18th century novelist Grace Greenwoods wrote: “true feminine genius is ever timid, doubtful and clingingly dependent, a perpetual childhood…” Aaargh. – Found this bit interesting: U.S. society view of feminism in 1927: “Feminism has become a term of opprobrium to the modern young woman” (from Dorothy Dunbar Bromley (essayist)). Compare with Moran’s view of feminism being hairy man-haters etc. Nowadays, it seems to be more a traditionally male role (to carve the turkey at special dinners a la Norman Rockwell etc.) – when did that change occur? So – a really interesting read. Very balanced in how it approached the historical aspect (and resisted the temptation to turn it into a anti-man screed: there was tons of ammo to turn it into an unbalanced read but the author didn’t succumb) and with a super-great bibliography at the end. Wicked sense of humor slips in now and then (you’ll need to be quick to catch it) and packed with loads of info so was a slower read. This entry was posted in Uncategorized and tagged American, gender roles, history, Non-fiction, women's history by lizipaulk. Bookmark the permalink. It was interesting to read your thoughts on this as you read — I didn’t know carving used to be a woman’s role… strange how that’s changed! I haven’t read a book by Gail Collins yet, but When Everything Changed in on my shelves, waiting.